Attention auto enthusiasts, classic motorcycle fans, fellow foodies and wine lovers, and party-goers of all sorts: The Concours d’ Elegance and Hangar Party are almost here! For the past 11 years, car buffs and motorheads from around the world head to Boca Raton for the esteemed Concours d’ Elegance. 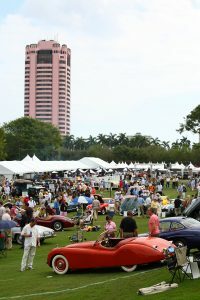 This three-day, world-class extravaganza is one of the finest concourses (vintage car shows) in the country, showcasing classic and vintage cars, motorcycles, and other vehicles, all set upon the majestic greens of the Boca Raton Resort and Club. This year’s event, “The 12th annual Boca Raton Concours d’ Elegance presented by Mercedes-Benz and AutoNation” features celebrity guests Tim Allen (headlining the Saturday night Gala) and Jay Leno as Celebrity Judge for Sunday’s Concourse. 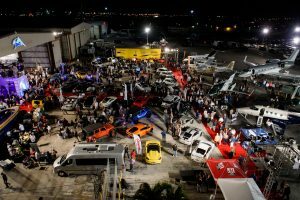 It all kicks off Friday, February 23, with the celebrated duPont Registry™ Live Hangar Party, held at Atlantic Aviation at the Boca Raton Airport. 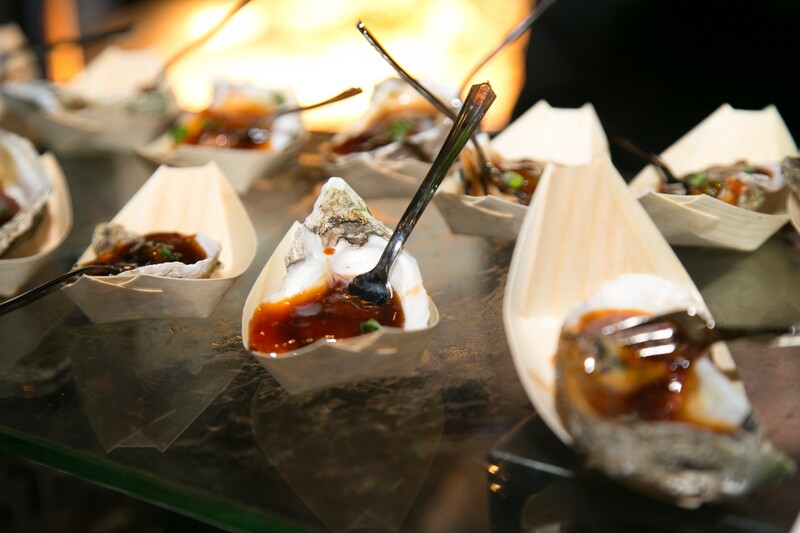 Enjoy unlimited tastings from the area’s top restaurants (nearly 30! ), plus an array of fine wines and spirits. 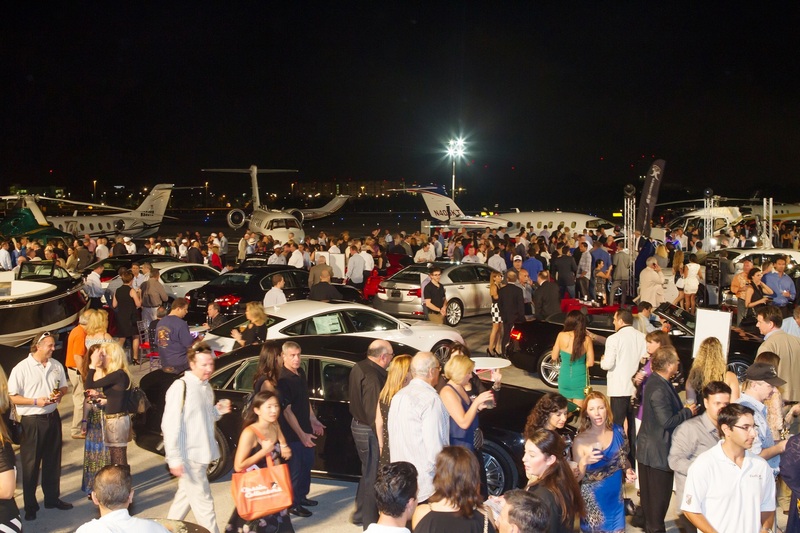 But what makes the Hangar Party unlike any other event is the setting: It takes place within an airport hangar, amidst a jaw-dropping selection of exotic cars, motorcycles, boats, private jets, premier vendors, and more. This year’s Party includes a special bonus, the chance to meet Indy 500 Race Car driver Jack Harvey. 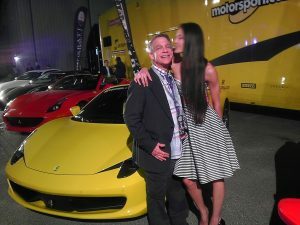 Saturday (Feb. 24) features various educational automotive seminars, followed by The Grand Gala Dinner, Auction & Show at the Boca Raton Resort & Club, hosted by TV and movie star Tim Allen. 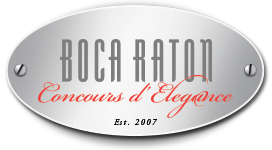 Sunday (Feb. 25) begins with an exclusive Sunday Brunch with Jay Leno and Tim Allen at the Boca Raton Resort & Club, where guests can join Jay Leno and Tim Allen for an intimate brunch with a Q&A session. 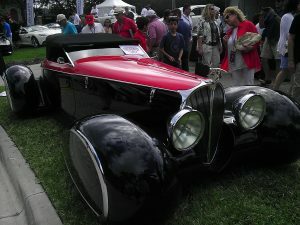 Then, starting at 10:00, the Main Event: The Boca Raton Concours d’ Elegance automobile and motorcycle exhibition, with celebrity Judges Jay Leno and Tim Allen. 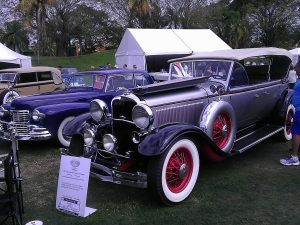 In addition to the incredible collection of vintage vehicles, guests also get to stroll, sample, and sip their way through the Concours d’ Gourmet Pavilion, offering unlimited gourmet samplings of food, wine and cocktails from South Florida’s finest restaurants. 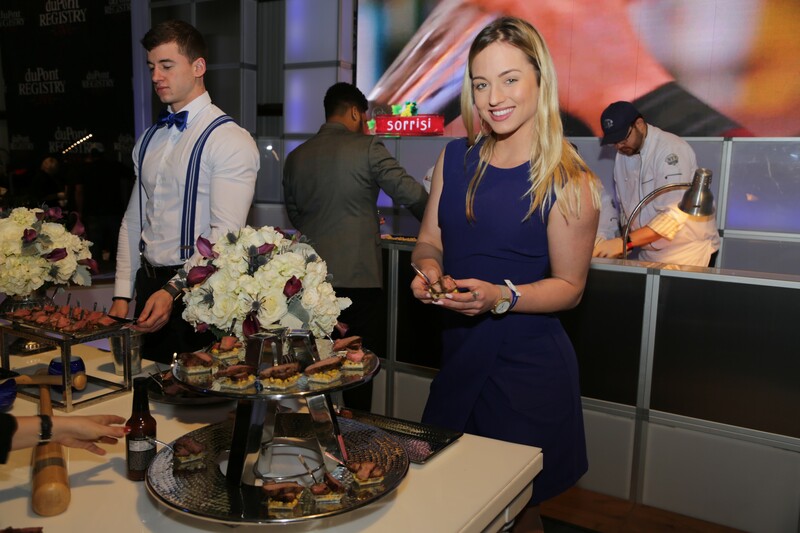 Don’t miss this amazing opportunity to savor unlimited samplings from the area’s finest restaurants, along with fine wines and spirits, and socialize with other party-goers, while marveling at the spectacular vehicles spanning over a century. 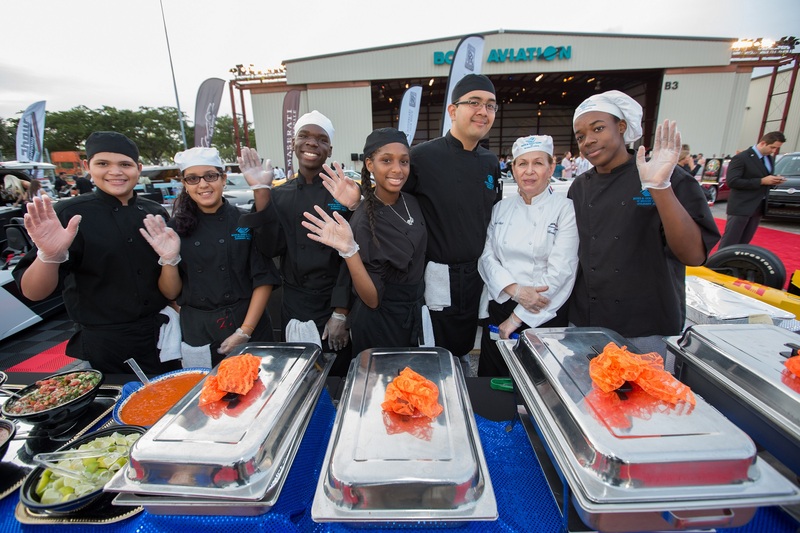 This year’s lineup is better than ever, with nearly 30 restaurants and caterers confirmed (so far) for Fridays’ Hangar Party and/or Saturday’s Concours Pavilion, including: Abe & Louie’s, Allied Kitchen & Bath, B&B Cappuccino Co., Bar Louie, BGCBC (Boys & Girls Club of Broward County) Culinary Program, Boca Raton Resort & Club, Café Med, Casa d’Angelo, Cecilie’s Gourmet Italian Ices, Chops Lobster Bar, EnerBee Energy Drink, En-Flux Private Chef & Catering Services, Exquisite Bites, Frank & Dino’s, GourmetPhile, La Ferme, Louie Bossi’s, Max’s Grille, M.E.A.T. Eatery & Taproom, Mermaid Vodka, MONARK Appliances National Chef, New York Prime, Oceans 234, Ouzu Bay, Potions In Motion, Richter’s Wreck House, Seasons 52, Starbucks, Sette Bello Ristorante, Sette Mezzo Ristorante, Sunset Catch, Tanzy, The Locale, and more! 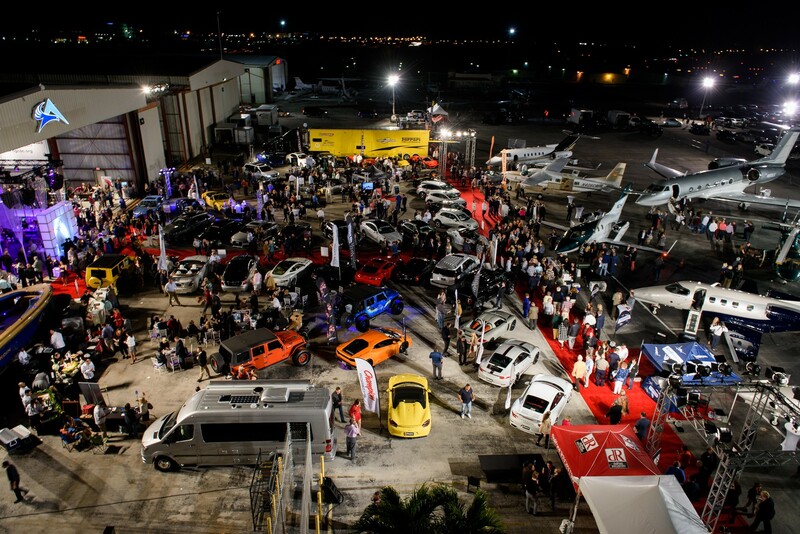 The duPont Registry™ Live Hangar Party takes place Friday, Feb 23 from 6:00 – 9:00 pm, at Atlantic Aviation at the Boca Raton Airport). Ticket prices are $125, while available. The Boca Raton Concours d’ Elegance is Sunday, Feb. 25 from 10:00am – 4:00 pm at the Boca Raton Resort & Club. 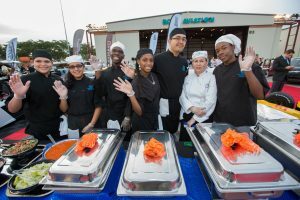 Tickets for Sunday’s Exhibition are prices $125, including the Concours d’Gourmet access, or $75 for the Exhibition only. Ticket prices for Saturday’s Grand Gala, Dinner, Auction, & Show are $500 (or $1,000 premier seats, with entire table options available). About The Boys & Girls Clubs of Broward County (BGCBC): The Boys & Girls Clubs of Broward County (BGCBC) is a non-profit 501(c) (3) private agency, dedicated to helping young people improve their lives by building self-esteem and developing values and skills during their critical period of growth, and serves more than 12,500 at-risk youth throughout the County. BGCBC has received the coveted 4 stars rating (out of 4 stars) by Charity Navigator for the seventh year in a row. (Only 4% of the Non- Profits in the USA have achieved this level of excellence!). For more information, (954) 537-1010 or visit www.bgcbc.org.